commercialization, change the date, etc. The term "Christmas" is really an abbreviation of the Old English "Cristes mœsse" (Christ's Mass). It is celebrated on December 25 of each year, which is not his actual birth day. There is internal evidence in the Bible that he was actually born in the Fall. The year of his birth is probably between 4 BCE and 7 BCE. The timing of Christmas appears to have been adopted from the Roman celebration of Saturnalia. That, in turn, is based on the timing of the Winter Solstice, which occurs each year about December-21. While Christians celebrate Christmas on December 25, they don't all use the same calendar. Most years are 365 days long. Every fourth year is a leap year with 29 days in February and thus 366 days in the year. Century years that are not divisible by 400 -- like 1900, 2100. 2200, etc. -- are not leap years and contain 365 days. This calendar is very close to being synchronized with the Earth's passage around the Sun. It will take a few millennia to accumulate a one-day error. However, the Orthodox Churcges retained the earlier Julian calendar which is based on a year of 365.25 days. This produced a gradual loss of synchronicity with the seasons and with the celebrations of religious holidays. For example, the Russian Orthodox Church celebrated Christmas on 2016-DEC-25 according to their Julian Calendar which was 2017-JAN-07 according to the Gregorian Calendar, an offset of almost two weeks! Some Eastern Orthodox Churches have adopted a Revised Julian calendar (a.k.a. Milanković calendar, and New calendar) which dropped 13 days and modified the century leap year calculation. Others have retained the original Julian calendar. Webmaster recommendation: If you are going to watch it, please see it at least half-way through. Those who want to maintain the traditional "Merry Christmas," thereby restricting recognition exclusively to Christmas while ignoring other religious and cultural celebrations. The conflict, which has involved economic boycotts and a lot of anger, seem to have reached a peak about 2005, and dissipated in recent years. However, it still exists today, and surfaces as the end of the year approaches. Cashier 1: "Marla, are we supposed to say 'Happy Holidays' or 'Merry Christamas' at the register?" Cashier 2: "You don't think anyone will get mad at us?" Marla: "Oh, someone will definitely get mad at you." Cashier 1: "Should we just say 'Have a nice day' instead?" Marla: "Say whatever you want, girls. You're cashiers at Christmas time. Anger will find you eventually." One way in which we could put Christ back into Christmas, and make him the true "reason for the season," would be to reschedule Christmas from the approximate time of the Winter Solstice to the actual day of the Autumn Equinox. That day occurs between September 20th and 23rd, depending on the year. Alternately, it could be set on the nominal day of the equinox, which is September 21. That would be much closer to the actual birthday of Jesus. It is a day where daytime and nighttime are in balance. Then the celebration on December-25 could be reclassified as a social, cultural, and family holiday, devoid of religious meaning. Wiccans and many other Neopagans already celebrate Mabon at the time of the Autumn Equinox. There should be little difficulty in having Neopagans and Christians sharing the day. It might even save lives in the Northern parts of North America because Christmas would then be scheduled before the snow flies. Traveling is often treacherous in December. Webmaster's full disclosure: I was born in late 1936-December, only a week or so after Pope Francis, a week or so before the late Mary Tyler Moore, and very close to Christmas. Like many children born at this time of year, I always felt that I was being shortchanged in my birthday presents because the timing of my birthday was so close to DEC-25. 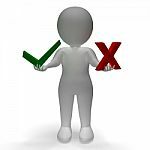 The above suggestion might possibly be motivated partly by selfish interests on my part. On the other hand, I might be just feeling guilty for disrupting my mother's Christmas by my birth eight decades ago. Anne Booth (author) and Sam Usher (illustrator), "Refuge," Nosy Crow Ltd., (2016). Read reviews or order this book safely from Amazon.com online book store Available in Kindle, Paperback and Hardcover formats. It is written with one illustration and brief sentence on each page, so that it more readily enjoyed by children. However, from the reviews by Amazon.com customers, the book is enjoyed by persons of all ages. It describes Mary, Joseph, and Jesus' trip from Nazareth to Egypt as refugees, from the viewpoint of the donkey. Was Jesus born in a home, stable or cave? Why and when did the church select DEC-25 as Jesus' birth? Alton C. Thompson: "Why Do We Celebrate Christmas?" Contributing editor, Susan Humphreys: ‘Tis the Season for Giving and "Taking"? Rabbi Allen S. Maller: "Christmas and Chanukkah, Hanuka, Chanukah?" Jim Wallis: "Starting the 'Christmas Tithe'." Secular and other religious celebrations near Christmas time. Conflicts about Christmas (a.k.a. the "Christmas Wars") Sadly, this is a big section. The History Channel has a videos, photos and a speech about Christmas, including its history, its traditions. the origins of Santa Claus, etc. Elspeth M posted a very helpful article to the EngagedLeadership blog to help executive leaders minimize conflicts at Christmas time in a multi-faith workplace. DigiPrint Christmas has very attractive Christmas card designs that they ship worldwide. They donate a percentage of sales to charity. Christmas Farms "... is located in Hartford, MI. They are dedicated to providing the freshest, highest quality real Christmas trees, wreaths and Christmas garland conveniently delivered directly to your home." Shipping is free. Christmas-wishes.com has a broad range of Christmas and seasonal cards that you can send free to friends and family. Christmas Wrapped Up is a facility in the UK that has a selection of over 3,000 tree and home decorations. Christmas Gift Baskets Send Christmas Gift Baskets and have them delivered in time. Lynch Creek Wreaths sells high quality Christmas wreaths, centerpieces, holiday garlands, Christmas holly, fancy gift cards, etc. Shipping is free. 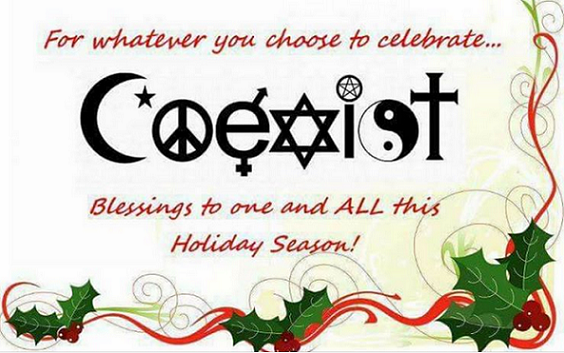 The Christmas/Coexist image was copied from Jennifer McMasters' Facebook page,at: https://www.facebook.com/jmcmasters. Her page encourages sharing. Anne Booth (author) and Sam Usher (illustrator), "The Christmas story retold: Refuge - in pictures," Nosy Crow Ltd., (2016). Read reviews or order this book safely from Amazon.com online book store Available in Kindle, Paperback and Hardcover formats. It is written with one illustration and brief sentence on each page, so that it is readable by children. However, from the reviews by Amazon.com customers, the book is enjoyed by persons of all ages.